Kirsty Rice – Travel Blogger and Ex Pat! 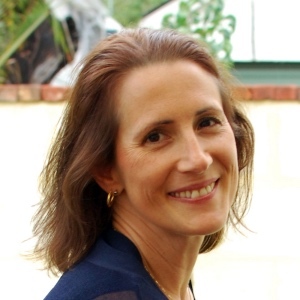 Kirsty Rice is an Australian writer and blogger. After calling 7 countries home over the past 13 years, she’s embarrassed to admit she still can’t pack a suitcase properly and spends much of her time trying to remember her new telephone number and where she packed the can opener. 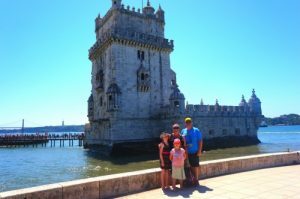 Kirsty writes mostly about the juggle of career and children while struggling through the geographical schizophrenia of expat life. Kirsty’s four children have been born in four different countries and she congratulates herself on not leaving any of them behind in the moving process. 4 kids, 20 suitcases and a beagle has appeared in both the London Telegraph and The New York Times. 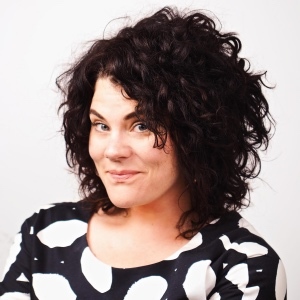 Kirsty is a regular contributor on the enormously successful website Mamma Mia! Dale Reardon – Web Technical and Blogging Expert Shares! I am 46 and have been blind since the age of 17. My seeing eye dog Charlie is 7 and is my fourth dog. I am married to Jo and we live in Kingston Beach, Hobart, Tasmania, Australia – yes that little island down south of the main part of Australia! 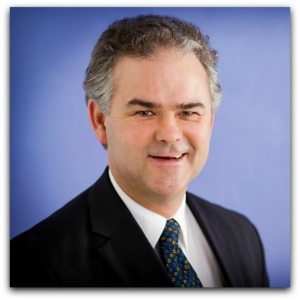 I have a law degree with honours and have practised as a lawyer in Tasmania, WA and Victoria. I have owned several businesses and currently operate other businesses with my wife, Jo. I was born in Tasmania and have lived in many parts of Australia, and have travelled broadly. So far my favourite place to visit is France. The wine, food and culture are great. Jo and I now live in the beautiful beachside suburb of Kingston Beach in Tasmania. Charlie is particularly happy that the dog beach is very close by. I started using the internet for business purposes way back in 1996 when I used it to promote our various bed and breakfast properties. The internet, social media and marketing in general have changed a lot since then. My Disability Matters was established as an idea in January 2016 and went live online in late March 2016. 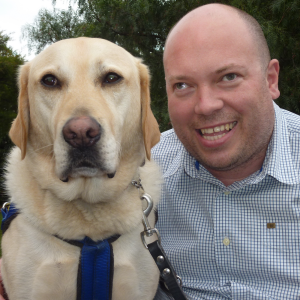 It currently gets around 10000 page views a month and publishes the latest disability news, opinion and discussion. We intend to launch a members only section soon and raise additional funds through a crowd funding campaign for this social enterprise. 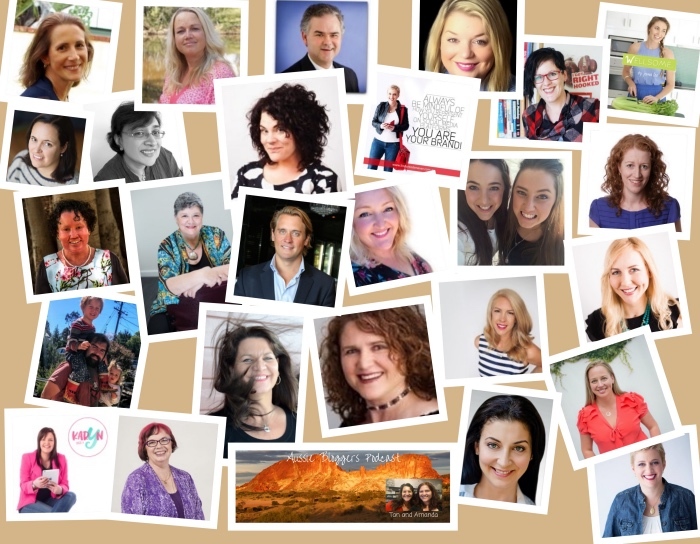 So if you want to know how to design and back up your website and gain insight into how you can gain more readers, head over to the Aussie Bloggers Podcast show and listen to our interview with Dale Reardon, blogger extraordinaire! Helen Edwards is an ex social worker and charity founder, turned writer and blogger at Recycled Interiors. 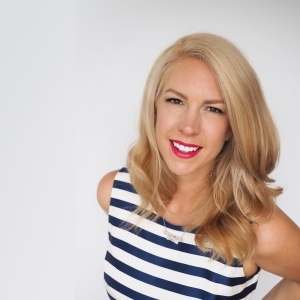 With an online following of over 100,000 people, she is one of Australia’s top bloggers. She has had a number of successful blogs and businesses, has published a children’s picture book and a number of e books. She was a state finalist in the Australian of the Year Awards 2016 and the Telstra Business Women’s Awards 2015 for her work in diabetes. 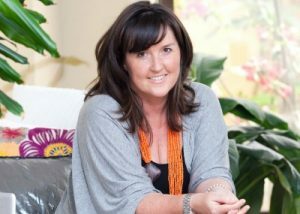 Helen launched www.recycledinteriors.org in 2013 and is a passionate and genuine lover of both people and the planet. She is also an eternal optimist. Her blog has grown rapidly, and she now has a large online community who are passionate about sustainable decorating and living. She has spent her life helping, nurturing and loving human beings, animals and our earth, and describes herself as a tree hugger (and she hugs trees most days!). A Mama of 3 gorgeous sons and a wife to Mr Recycled, her goal is to help you to feel good about yourself, your home and your everyday. She wants to inspire you to think before you buy, reduce your waste and lighten your footprint on the planet, while you create a happy, healthy home and a life you can love. 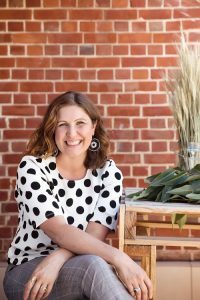 So if you’re looking to blog about the planet and it’s people and you want to know how to do it, head over to the Aussie Bloggers Podcast show and listen to our interview with passionate, happy and healthy Helen! Should you use sidebar ads on your blog? Aussie Bloggers Podcast 6 Month Anniversary! Aussie Bloggers Podcast was born 6 months ago. Tan and Amanda take a trip down memory lane and pick out the highlights from each episode. Each blogger from the last 6 months is highlighted and Tan and Amanda’s favourite parts of each episode are remembered. Who is your favourite? Perhaps you were enchanted with the MerryMakers – Emma and Carla Pappas, or Adam Franklin and his wise words about web marketing. 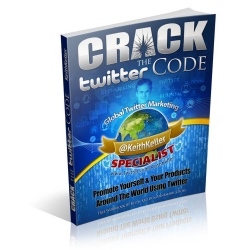 Maybe you enjoyed Mel Telecican talk about being a business customer coach or Keith Keller and his Twitter Magic! Whoever you were inspired by, this fascinating round up is well worth listening to and revisiting to pick up new tips and tricks from each episode that you may have missed first time round. Featuring Linda Reed-Enever, Trish Springsteen, MerryMaker Sisters, Jema Lee, Adam Franklin, Amanda Kendle, Mel Telecican, Jo Saunders, Lauren June McFarlane, Amanda Smyth, The Dadinator, Carly Findlay, Jennie Gorman, Jody Danson, Karyn Hogan, Kim O’Gorman, Alison Laverty, Keith Keller, Lisa Cox, Jay Crow, Kelly Exeter, Carly Jacobs, Christina Butcher and more! Visit iTunes, Buzzsprout or our home page to find your favourite episode! Christina Butcher: Romancer of Hair, Love and Travel! Learn What it’s Like to Blog with Your Husband! Christina Butcher is a full-time blogger and New York Times bestselling author. Little Blog Big (http://littleblogbig.com) with live workshops and networking events. So if you’re wanting to be a full time blogger, head over to the Aussie Bloggers Podcast show and listen to our interview with Christina! Christina’s passion and how it has helped her to make money from blogging and you can too! Where Did Smaggle Come From? You Need to Know This! Podcast Episode 24 – Interview featuring Carly Jacobs – Life Hacker! Carly is the founding editor of Smaggle which launched in 2007 back when blogging was weird. She has appeared in The Sydney Morning Herald, The Age, Cosmopolitan and Cleo magazines. She’s the co-founder of of blog school Little Blog Big and co-host of podcasts Straight & Curly (for life improvement junkies) and Sweet Teen Club (for those of us who can’t leave the 90s behind). Hoop earrings are totally her thing, Benedict Cumberbatch is her Beyonce and she almost got run over by Myf Warhurst while out jogging one day. So if you’re wanting to be a blogging sensation like Carly, head over to the Aussie Bloggers Podcast show and listen to our interview with her and find out all her saucy secrets on how to make it as a blogger today! Podcast Episode 23 – Interview featuring Kelly Exeter! 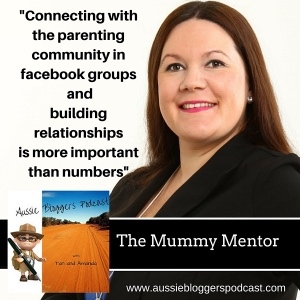 So if you want to find out exactly how Kelly fits it all in and still has a life, head over to the Aussie Bloggers Podcast show and listen to our interview with Kelly Exeter!